Hollywood often gets ridiculed for its tenuous connection to reality. I doubt any real U.S. Navy Seals look at 1990’s Navy Seals as a paragon of military validity. 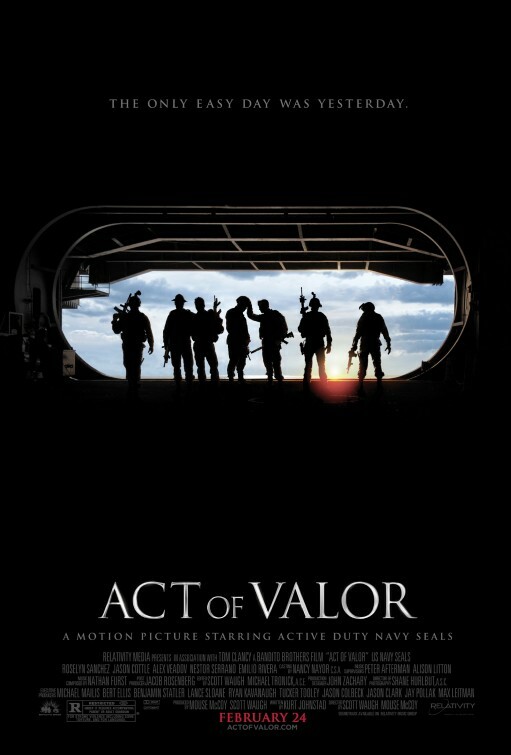 The makers of Act of Valor thought they could do one better than Hollywood. They hired real-life active-duty U.S. Navy Seals as their stars and made a movie based upon Seal combat experiences. Act of Valor was billed as the real deal. I just wish the filmmakers had spent less time on trivial yet realistic details and more time on plot, characters, and enticing action. Who cares that the movie stars actual Navy Seals? Apparently enough people did judging by its healthy box-office returns in the spring, but really, why should a movie be any better because it has real Navy Seals pretending to be actors rather than actors pretending to be Navy Seals? Is this movie brought to a greater level of excellence because the characters know intuitively how to hold a gun properly? Was the slight difference in posture the difference maker? I suppose there is some curiosity seeing real Navy Seals go through all their training, but you know who else could be trained? Actors! Which these fellas are not. The line delivery is so flat, like the Seals were just happy to spit out all their dialogue and move along. There’s little emotion to just about any line that isn’t communicated via a bark. I can’t fault these servicemen because they never signed up to be actors; they have bigger things on their minds. Is there anything in this movie that could not have been done with actors? I doubt it. I understand the gimmick but I just can’t comprehend the appeal. Can an actor not be taught how to hold a gun, how to clear a room, how to squeeze the shoulder of his colleague to communicate move forward? I salute the Seals for trying (as well as defending our country, naturally) but I’m reminded of the old adage: it’s easier to teach an actor how to sing than a singer how to act. The movie seems more preoccupied with trivial details of authenticity than more important endeavors like story or character development. Here’s the most trivial detail of them all: live ammunition was used during the action sequences. WHY?! Do the guns not work with blanks? Why in the world would you dramatically escalate the danger on set and risk every shoot with live ammunition, actual gunplay? Action sequences are already a risk, so why would you exponentially increase the danger for … a slight uptick in realism? Again, it all feels like a movie in service of a gimmick. The plot is a rather cliché-filled jaunt across the world taking down terrorists, rescuing hostages, and mostly just knocking down doors, sweeping rooms, and shooting people in the head. Sure there’s a bad guy, a Chechen Islamic terrorist (double bonus: Russian and Arab!) and some other bad foreign guys with beards, but none of it ever seems to matter. I also question why a Chechen extremist would plot to attack the U.S., especially since we don’t exactly have the warmest international relationship with Russia. Surely a Chechen attack would strengthen that relationship, and the two countries might work in tandem targeting Chechnya. I’m saying this villainous plan is dumb. The good guys aren’t any deeper. Beyond their bravery, skill in combat, and impending fatherhood, we don’t know anything about these guys. A series of voiceovers try and list the various characters, but once the action starts good luck remembering any of them. In fact, good luck even keeping the two leads apart. I kept mixing them up myself. And if that wasn’t bad enough, the action is a fairly big let down as well. 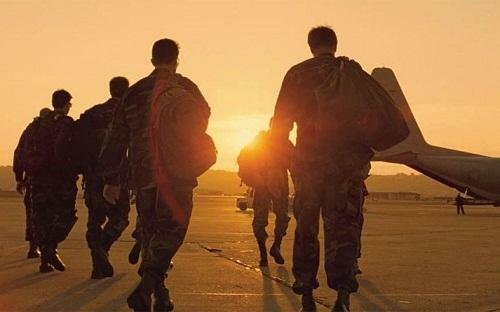 Directors Mike McCoy and Scott Waugh must have studied under Tony Scott or Michael Bay, because every shot has the sleek beauty to it, the dawning sunsets, the cool gun mettle colors, the rah-rah jingoist spirit. Seriously, most of the action is just people shooting one another. That may sound like a no-brainer to anyone who bought a ticket, but the action needs to be properly thought out as well as the plot. The first mission, rescuing the tortured CIA Agent, is the best sequence because it has different points of action, organic consequences, and makes good use of geography. I’m going to hammer this point time and again until people take notice: geography is essential to well-developed action. You need to make use of your surroundings in interesting ways, otherwise what was the point of even setting the action there? The later action sequences fail to make use of any of these integral ingredients, so it becomes a rote series of people entering rooms, shooting other people, and moving to more rooms. Rather, rinse, repeat. The action has a muscular feel but it gets redundant rather quickly. That’s when your mind starts to notice how transparently the movie is working as a recruitment film for the U.S. Navy. There are sequences in this film that have no bearing on the plot (submarine visit?) other than to showcase the cool things that you, too, can do when enlisted in the Navy. There are plenty of sustained POV shots that give the illusion of a video game, war as a game. This is also why the complexities of war and geo-politics are sanded down to a series of clear-cut missions. I feel like the real servicemen deserve a more complex movie that treats their heroics as something more than clearing a video game level. When you get down to it, the audience that made Act of Valor a hit this past spring reminds me a lot of the audience that went to see the nearly four-hour Civil War movie, Gods and Generals. These are audiences obsessed with the details of realism. They’ll pore over the details of costumes and tactics. Whether the movie is actually any good or not, the characters engaging, the plot entertaining, is all immaterial. It’s the details they came to see. 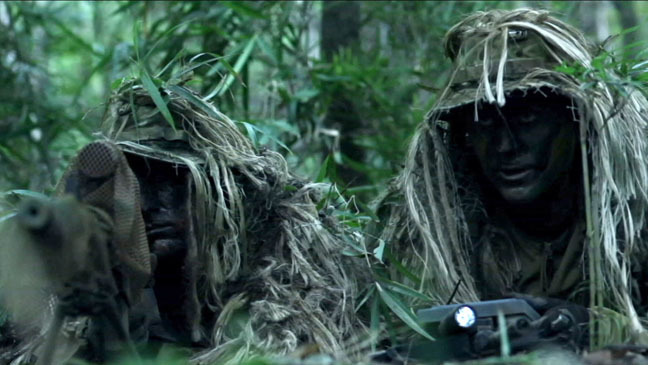 Hence the real-life Navy Seals, the missions inspired by real Seals, and the live ammunition on set. That’s what makes a movie to them. For me, I need more than realistic details; I need people and a story, and if it’s an action movie, then there better be well-developed action. It’s not like Act of Valor is a documentary people. It’s all pretend. I’ll be interested in how audiences respond to director Kathryn Bigelow’s movie about the hunt and execution of Osama bin Laden, Zero Dark Thirty. That movie uses actors and has an Oscar-winning director and screenwriter. Let’s see if anyone can tell the difference. One man. Many movies. I am a cinephile (which spell-check suggests should really be "epinephine"). I was told that a passion for movies was in his blood since I was conceived at a movie convention. While scientifically questionable, I do remember a childhood where I would wake up Saturday mornings, bounce on my parents' bed, and watch Siskel and Ebert's syndicated TV show. That doesn't seem normal. At age 17, I began writing movie reviews and have been unable to stop ever since. I was the co-founder and chief editor at PictureShowPundits.com (2007-2014) and now write freelance. I have over 1400 written film reviews to my name and counting. I am also a proud member of the Central Ohio Film Critics Association (COFCA) since 2012. In my (dwindling) free time, I like to write uncontrollably. I wrote a theatrical genre mash-up adaptation titled "Our Town... Attacked by Zombies" that was staged at my alma mater, Capital University in the fall of 2010 with minimal causalities and zero lawsuits. I have also written or co-written sixteen screenplays and pilots, with one of those scripts reviewed on industry blog Script Shadow. Thanks to the positive exposure, I am now also dipping my toes into the very industry I've been obsessed over since I was yea-high to whatever people are yea-high to in comparisons. Posted on August 7, 2012, in 2012 Movies and tagged action, military, true-life. Bookmark the permalink. 2 Comments.